Capital seeks out the highest return at the lowest risk. Investment strategies across every culture understand that critical risk mitigation strategies center around diversification. Risk-reduction is not only derived from the allocation of capital across a multitude of investment instruments, but it also comes through the appropriation of funds throughout many sub-economies and cultures. Investment funds in the United States practice geographically diverse strategies by placing funds in primary, secondary, and tertiary markets and sub-markets across the country. Domestic funds have the luxury of geographic diversification because of current overarching investment regulations and guidelines. This single set of rules is precisely what European countries lacked when the 11 countries of the European Union operated as separate and distinct economies with varying oversight, regulations, and uncertain currency exchange rates. Investment funds are products created with the sole purpose of gathering investors’ capital and investing that money was collected through a portfolio of financial instruments such as stocks, bonds, and other securities. Therefore, as the barriers to intracontinental investing came down with the formation of the European Union, investment funds throughout Europe started to aggregate resources to a point where private fund profits exceeded the risks associated with previously cumbersome foreign investment strategies. As the EU emerged, a German investment fund could purchase real estate in the UK with an efficiency that provided returns necessary to make the German investment competitive with other investments internal to the UK. The EU was suddenly one real estate marketplace, similar to the US – except that regulation still had to catch up. As the fund management industry becomes more and more positioned within the European economy, laws will work to impede improprieties that are likely to emerge as capital seeks out high returns. Unlike the United States, where federal agencies enjoy the luxury of autonomy, EU regulatory bodies must contend with each country’s previous laws and regulations, which will likely take much more time as the actual merits of a joint European Union are continually questioned by many of the regions it regulates. 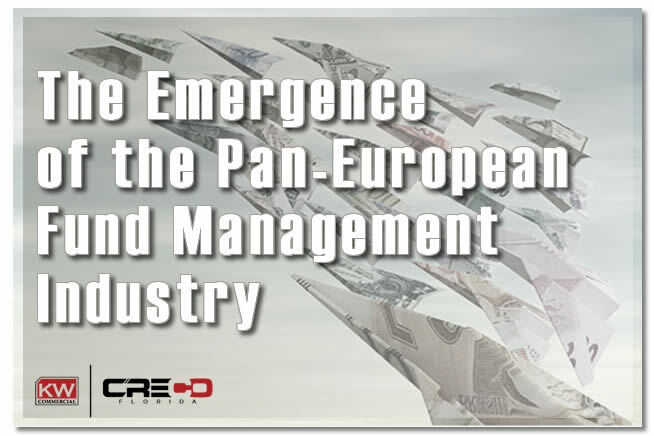 Still, as time passes, the pan-European investment fund industry will begin to closely resemble the US fund industry, where capital seeks out returns over all else.